Fantastic colour woven slub ribbon. Available in a brilliant range of widths & colours. 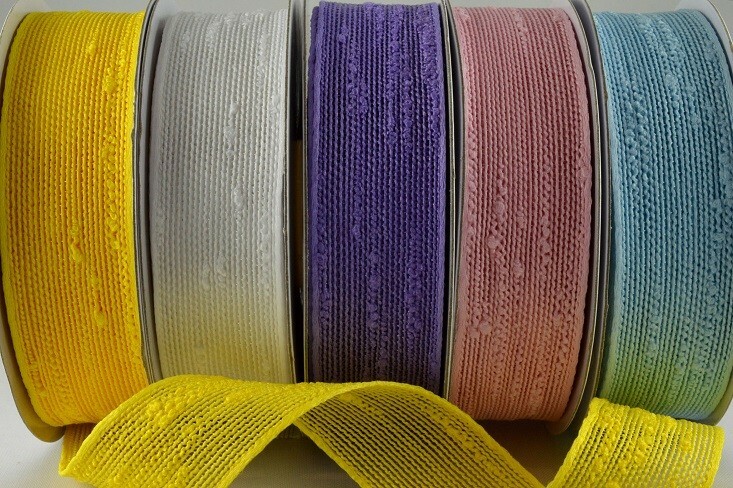 55008 - 25mm & 38mm Colour Woven Slub Ribbon (10 Metres) Fantastic colour woven slub ribbon. Available in a brilliant range of widths & colours. Rolls are spooled with 10 metres of ribbon.